Unfortunately, responsible, well-meaning people have caused their families terrific grief by buying life insurance and making just one tiny mistake. It’s not always the same mistake… it is usually just one of 7 mistakes. The good thing is they can be easily avoided, or corrected if they have already occurred…usually at no cost. If these mistakes can cause so much harm, why doesn’t anybody talk about them? These mistakes are often not found until someone dies. 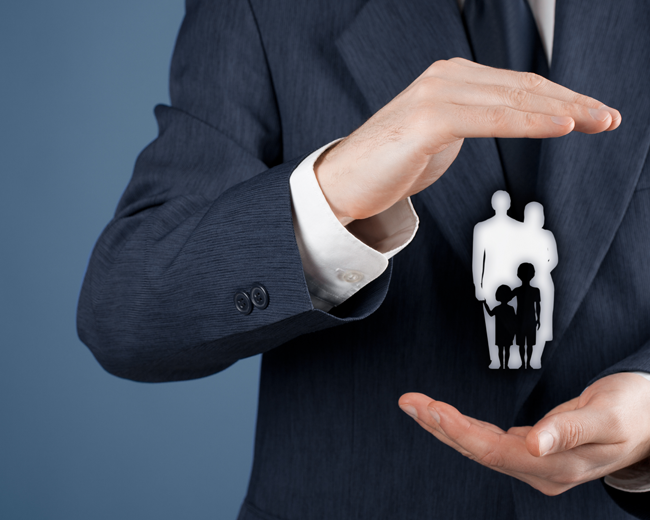 Companies that sell life insurance over the internet or inexperienced life insurance agents are usually more interested in selling a policy than making sure the policy has been done correctly. The devil is in the details…and if details take time… and time is money… Well, you get the picture. Problem and Solution: If you leave the beneficiary blank (or it is left blank accidentally by the company taking your life insurance application- and this does happen too often), your estate will be named beneficiary. The problem is now your proceeds are going to go through probate and all the time delays and costs that probate involves. One of the biggest advantages of life insurance is that it doesn’t have to go through probate… making this mistake drags it right back into probate. Make sure a name is in the beneficiary portion of the application. Mistake 2: You haven’t designated a contingent beneficiary. Problem and Solution: If the first beneficiary you named dies and there is no secondary (or contingent) beneficiary named…we now have the same problem we talked about in mistake #1. Your estate now becomes the beneficiary with all the problems with probate that entails. Problem and Solution: Every family is different. They look at life differently. They have different family challenges or dynamics. You need to take these into account when you name your beneficiaries. Not doing so can cause major problems. Children getting money before they are ready and blowing it all on senseless expenditures or having the assets managed by people that you would not have chosen yourself. You need to spend some time on this with your insurance agent to make sure these contingencies are taken care of and documented in the policy. Mistake 4: You don’t regularly update your policies. Problem and Solution: This one can cause the most anger… Imagine if you have gotten a divorce…you pass away…and your ex-spouse now receives the death benefits. You would not believe how often this happens! You and your agent should have a standing appointment to check your policy every 3 years or when your situation changes. Mistake 5: The wrong person owns the insurance. Problem and Solution: If your net worth is big enough where estate taxes could affect you, then having the wrong owner (hint: it’s probably not you), can cause you to lose a big chunk of your death benefit to Uncle Sam. If you find yourself with a high net worth, you need to sit down with a professional agent and his team to create a plan to minimize the estate tax on your family. Problem and Solution: This works both ways. You should not buy too much insurance (waste of money) or too little insurance (cause big problems for your family). You should have the right amount of insurance for your particular family’s needs. Do NOT use thumb rules. Sit down with a professional who will help you develop an insurance plan that gives you just enough…but not too much insurance. Mistake 7: Not getting Free life insurance. Comment: Check to see if your company offers life insurance. If it doesn’t, approach the powers that be and ask them to create a program. In many cases, a company is open to providing this type of benefit because it is relatively inexpensive for them to do so. As you can see, life insurance is more than getting a free quote on the internet. It requires a bit of thinking.